Have you ever made your own barbecue sauce? My mother used to make one called Black Knight sauce. It was deep, rich and spicy. I also remember one that included coffee in it. 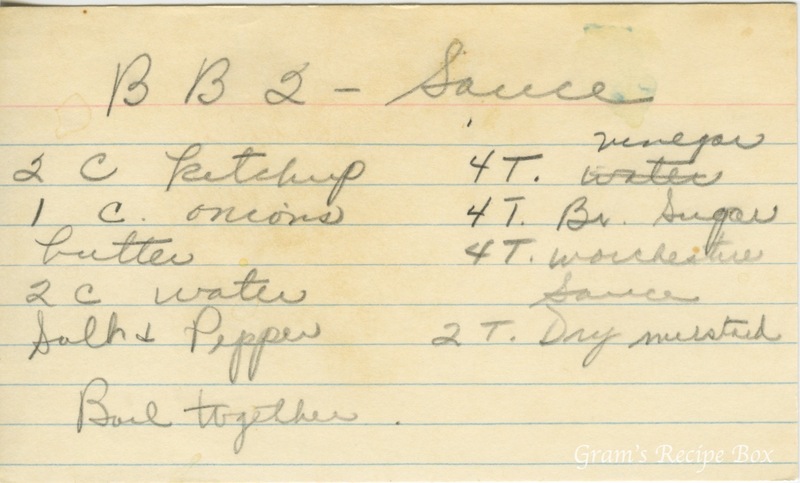 This recipe for barbecue sauce sounds lovely, smooth and flavorful. The inclusion of butter will give it a mellow taste, although how much butter should be based on your preference. Too much and it will become oily, so be careful. Black Knight is the one with the coffee in it.